A series of public meetings will be organised in Madhya Pradesh to pay tribute to the former prime minister Atal Bihari Vajpayee from 21 to 30 August. Chief Minister Shivraj Singh Chouhan will attend a meeting at Gwalior, Vajpayee’s birth place, on 22 August. The public meetings will begin in Bhopal on 21 August. Chouhan, Union minister, Narendra Singh Tomar and BJP state chief Rakesh Singh will participate in the functions in Gwalior and Bhopal. Leaders of various political parties, representatives of social, religious, cultural organisations and others will pay tribute to Vajpayee. The meetings will be organised between 21 and 25 August at the district level and from 25 to 30 August at the block level. An urn containing Vajpayee’s ashes will be brought to Gwalior by his nephew and BJP MP from Morena, Anup Mishra. It will be kept at his ancestral home in Kamal Singh ka Bagh area for public viewing after which it will be immersed in the Ganga river at Bateshwar and in the Chambal river in Morena district. The CM has announced that Vajpayee’s ashes will be immersed in all the rivers of the state, including the Narmada. 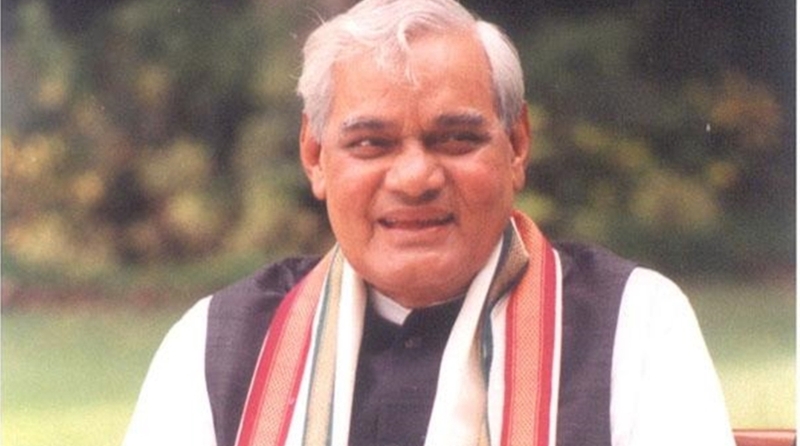 Vajpayee’s childhood friends, social workers and various political leaders of Gwalior have demanded that the CM send a proposal to the Centre to name Gwalior railway station after Atal Bihari Vajpayee. An International level museum will be established at the Gorkhi School in Gwalior where Vajpayee had studied. The Gorkhi School will be developed as a centre of higher quality education and a statue of Vajpayee will also be installed. Chouhan said statues of Vajpayee will be installed at all district headquarters of the state. “Two international level memorial parks will also be made in Gwalior and Bhopal in the name of Atal Ji to educate the upcoming generation about his contribution to the nation,” Chouhan said. In Gwalior, the park will be set up near Ramaua dam on 4 acres of land. A Global Skill Park, costing Rs 600 crore, is being constructed in Bhopal which will be named after Vajpayee. The CM has also announced that world class libraries in Vajpayee’s name will be established in all seven smart cities, Bhopal, Gwalior, Indore, Jabalpur, Sagar, Satna and Ujjain.